After the collapse of the USSR Belarus and Lithuania intended to develop the interaction on a constructive basis. On December 30th 1992 they established diplomatic relations and in 1993 they opened embassies on mutual basis. In February 1995 during the official visit of President Alexander Lukashenko in Vilnius they signed treaties on a good-neighborhood and on Belarusian-Lithuanian state boarder. However, the worsening of relations between Belarus and the European Union, the member of which Lithuania became in May 2004, hasn’t allowed the potential of bilateral interaction to promote. Meanwhile technical matters have been processed. In the second half of 1990-s – first half 2000-s the Parties were busy with the problem of boundary demarcation. On June 12th of 1997 Belarus and Lithuania began settling the boundary afield, setting the first border mark in the area of border crossing “Benyakoni”. On March 1st 2006 the last border mark was set in the area of the Giluta Lake. On June 19th 2008 Belarus and Lithuania exchanged with final demarcation documents. The beginning of political thaw was the meeting of two Foreign Affairs Ministers on May 25th 2007 in border check-point “Kamennyi Log - Myadinikaj”. In October 2007 Vilnius welcomed Prime-Minister Sergei Sidorsky, using the exhibition “Belarus-Expo” as a reason. Even more active the dialogue became in 2008 when Belarusian Government expressed its readiness to extend the relations with the EU. In September 2008 there was a meeting of the Heads of Governments of Belarus and Lithuania in Druskininkai, and Trakai welcomed the meeting of Foreign Affairs Ministers. Lithuanian politicians perceived positively the change of official Minsk policy. They stated that Belarus made a move forward to progress and expressed the intention to promote the establishment of the dialogue with Brussels. These plans were carried out last year. First of all, the cooperation within the sphere of Foreign Affairs Ministries intensified. 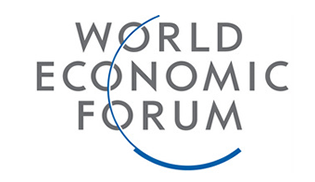 Heads and representatives of foreign policy bodies held meetings of different formats: on bilateral basis, within the framework of the “three” Lithuania – Belarus – Ukraine, “Eastern Partnership”, Council of the Baltic Sea States (in July last year Belarus gained a status of an observer in this organization). In general during these meetings they discussed the possibilities of extension of cooperation within the terms of “Eastern Partnership” initiative accomplishment. The character of the contacts between Foreign Affairs Ministries hasn’t changed even when this January Lithuanian President Dalia Grybauskaitė appointed Audronius Ažubalis for the Head of the Foreign Ministry instead of Vygaudas Ušackas. In June 2009 Prime Ministers held a meeting in Grodno. They concentrated their attention on the issues of extension of bilateral trade and investment relations. Considering common historic past great significance was given to the strengthening of contacts within the line of Ministries of Culture. In February last year they signed an agreement on cooperation in the sphere of historic and cultural heritage protection. In July Belarusian Minister of Culture Pavel Latushko participated in celebrations on the occasion of Lithuanian Statehood Millennium. The establishment of relations within the framework of brotherhood movement proceeded. 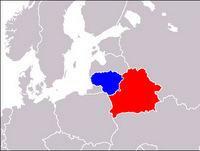 By the beginning of 2009 Belarus and Lithuania had about 40 interregional treaties on cooperation in various spheres. In last June Grodno and Alitus became sister towns. More distant remained the interaction between Lithuanian Seim and Belarusian National Assembly. The preference was given to unofficial contacts at this level. In September last year President Lukashenko visited Vilnius. The interest to this visit was particularly attracted by the fact that the previous visit of the Head of Belarusian State to Lithuania took place only in September 1997. Observers suggested that during the visit Belarusian President would illustrate the intension for further steps for the rapprochement of Belarus and the EU. But it hasn’t happened. Lukashenko was in a battle-like spirit, propagating actively successes of Belarus, reached under his leadership, and he revealed no wish to change anything in its political mechanism. He noted that within the dialogue with Europe Minsk doesn’t need either advocates or intermediates. In its turn, Lithuanian politicians haven’t refused of the established practice of communication with Belarusian opposition. Last March Vygaudas Ušackas declared that Lithuania is interested in “independent, stable Belarus following the laws of free market and moving forward to the strengthening of an open, democratic society”. Also he expressed an opinion, that Belarusian policy of the European Union should be performed “considering current processes in the country, and also considering the observance of human rights and democratic principles ". This view is also supported by a new Head of Lithuanian Foreign Policy Department Audronius Ažubalis. This February he noticed that he observed the relations with Belarus as a road with two parallel tracks, - support of democratic opposition and cooperation with official Minsk. According to Ažubalis in prospect when Belarus becomes a democratic state, these two tracks can join. Last year in Vilnius there were repeated meetings of Lithuanian officials with the Belarusian opponents of the course of Alexander Lukashenko. The level of communication was pretty high, including Prime Minister and Foreign Affairs Minister. Besides, official Vilnius kept supporting European Humanitarian University, expelled from Belarus. In the beginning of this year a new intrigue has occurred within bilateral relations. On the eve of celebrations on the occasion of twentieth anniversary of reestablishment of independence Lithuania focused of the “case of Uskhopchik”. General Vladimir Uskhopchik in January 1991 was in charge of Vilnius garrison and, as they think in Lithuania, gave an order to use a weapon against citizens, acting in support of independence of this country. Then civilians died. 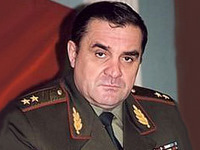 Later General moved to Belarus, where he was a Deputy Minister of Defense in the period of 2000-2004. After a last year visit of Lukashenko Lithuanian General Prosecutor’s Office once again demanded Belarus to deliver Uskhopchik. However, Minsk refused to fulfill this requirement referring to the fact that Uskhopchik was acting in accordance with the USSR laws. The reply incited disaffection of Vilnius. However, the parties tried to avoid an open conflict. Dalia Grybauskaitė noted that Lithuania has no legal grounds to demand the extradition of General, and Belarusian General Prosecutor’s Office made a good will step, calling Uskhopchik for the interrogation. They gave the interrogation protocol to Lithuanians which reduced the acuteness of the problem. Official Vilnius was pleased with the actions of Belarusian authorities and soon Alexander Lukashenko received an official invitation to participate in celebration ceremonies. However, contrary to the forecasts of experts, he didn’t go to the Lithuanian capital and simply sent the congratulations. In general we can summarize that during the last year the interaction of Belarus with Lithuania within political sphere became more intensive, various and constructive. But the absence of the atmosphere of a real trust slows down the development of bilateral contacts. Till now the problems of small-distance cross-border movement, relaxation of visa regime for Belarusian and Lithuanian citizens are not yet solved. They have different views on the issues of world policy, accomplishment of standards within the sphere of democracy and human rights. There are clear disagreements in the interpretation of historic processes, especially on the events of the ХХth century. Thus, we can suppose, that the process of normalization of Belarusian-Lithuanian relations on political level will be complicated, as it will take time to overcome disagreements.